Enter your email address here and we will send you an email when our new listings are available! 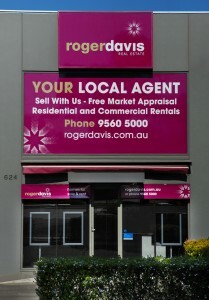 Roger Davis Real Estate Pty Ltd was established in 1971 and remains an independent family business. Headed by Kyla Davis and supported by Roger Davis, together with a multilingual team of professional, dedicated and skilled staff, the Company continues to build on its longstanding success and reputation for providing the highest level of service in Sales and Property Management. You have succesfully been registered to receive property alerts.